Attorneys and Accredited Legal Representatives provide direct legal immigration services in a wide range of immigration matters. Catholic Charities Immigration Legal Services (CCILS) has represented individuals from more than 135 countries around the world needing legal assistance with an immigration matter. CCILS also refers cases for pro bono legal representation, provides trainings to lawyers who provide pro bono services, and conducts education and outreach to the community on immigration issues. 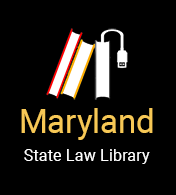 CCILS is the local provider for the Legal Orientation Program for Custodians (LOPC) of Unaccompanied Minors serving Maryland, DC, and Virginia. Eligibility: We try to find a way to help everyone who comes for assistance. If you need help with an immigration legal matter, our intake sessions are the first step. Please come to any of the following locations during weekly walk-in hours. Consultation fees are listed for each. *On a first come, first serve basis. *Please note: There will be NO consultations the last Thursday of each month. NOTE: Appointments are not necessary for consultations (except for the Temple Hills location which requires an appointment. There is a $80 consultation fee (payable in cash, check, credit card or money order) for services unless otherwise stated. Please bring all documents related to your immigration case with you. If you have been arrested, you must bring documents to show the disposition of the case.